Last Chance In The Yarn Department! 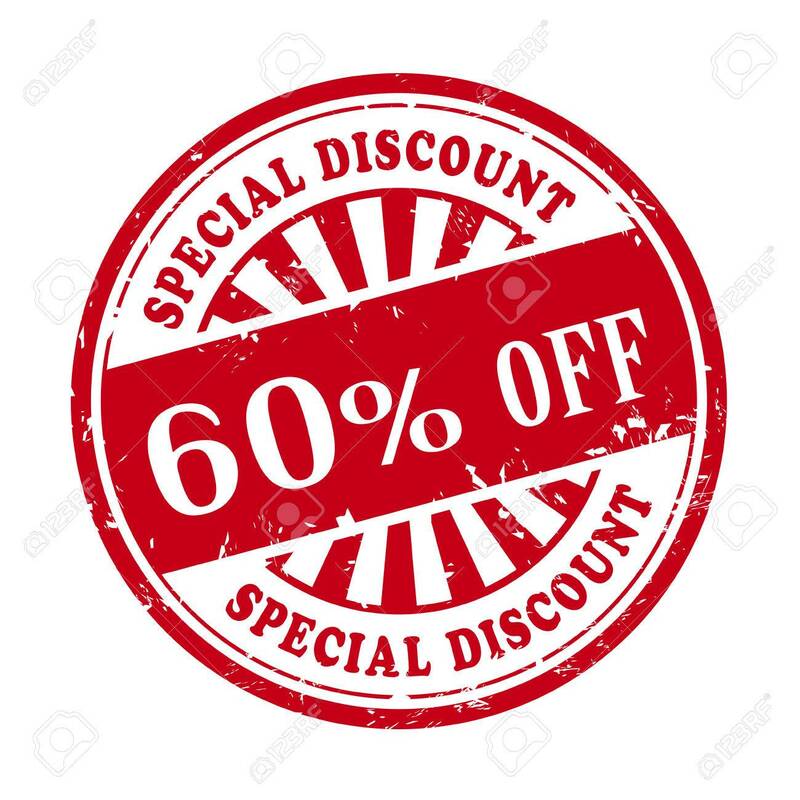 Yarn, notions, and books are now marked down to 60% off. 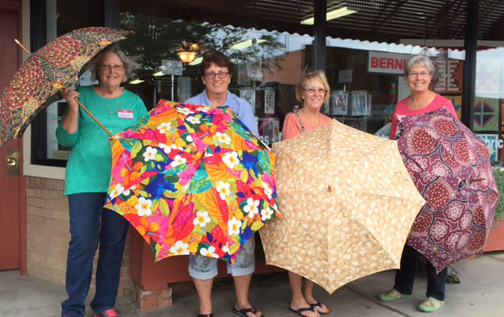 Come by now to get all your supplies for your future knitting and crochet projects - you can't beat the price! 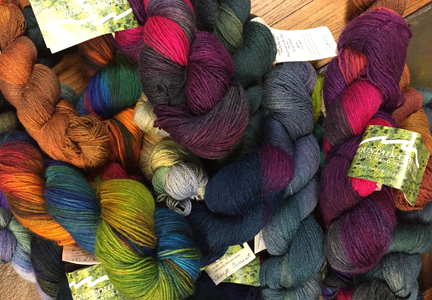 Interested in finding out more of what is happening with the yarn co- op? 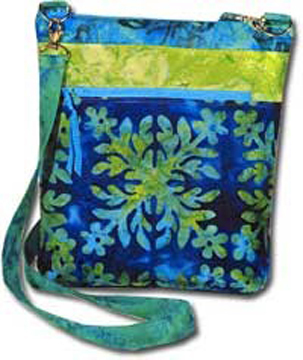 On Facebook, search for Southwest Farm to Yarn - once there, be sure to like their page. If you would like any further info, please email Sue Maxwell at smaxwell50@gmail.com. 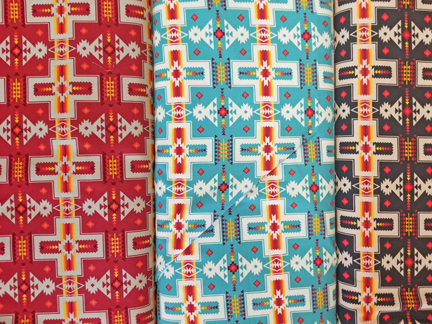 Be sure to put "fiber co-op" in your subject line..
We received twenty bolts of stunning southwestern fabric today! 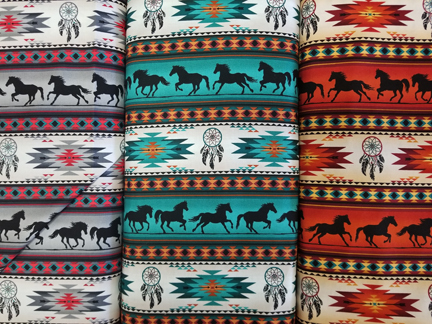 These three feature a strip of running horses, along with a Native American blanket design and dream catchers. 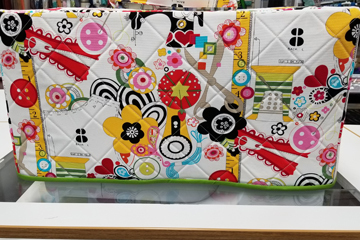 Bright colors, along with a bear design, are featured on these three bolts. Buffalo, along with a western cow skull are showcased here. 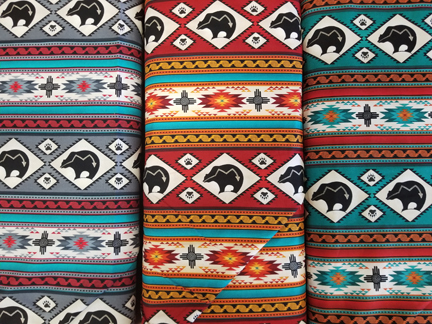 These fabrics look great just as they are, or can be mixed with anything above to complete an awesome southwestern project. 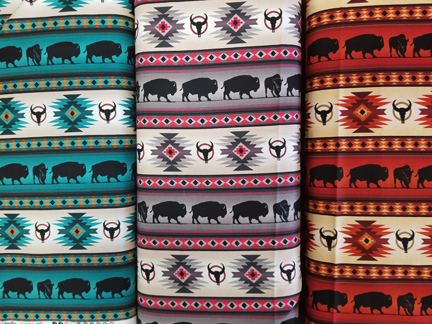 This Native American blanket design is beautiful. 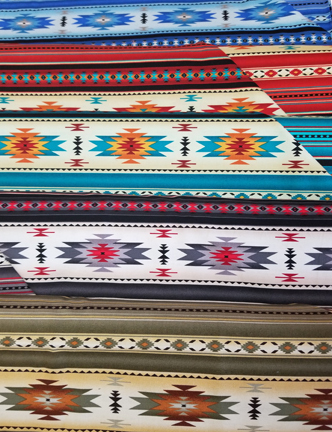 This collection includes some of every color - sage, gray, black, red, blue, turquoise, gold, and orange. 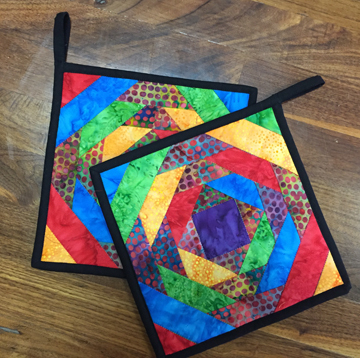 Make sure to come check these out in the store! 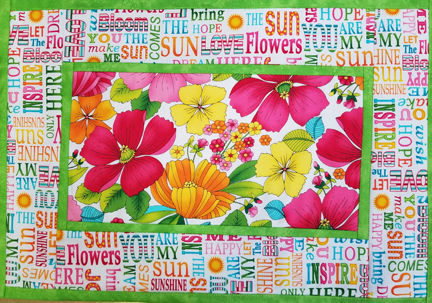 We are happy to ship to our out-of-town customers. Cork is all the rage right now! 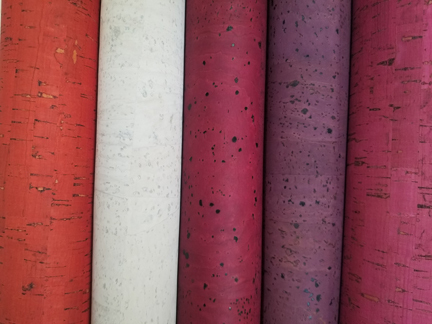 Fashionable and ecological, cork fabric can be used to create a wide range of products (from handbags, purses, wallets, clothes, etc..). cork has a similar feel to leather. 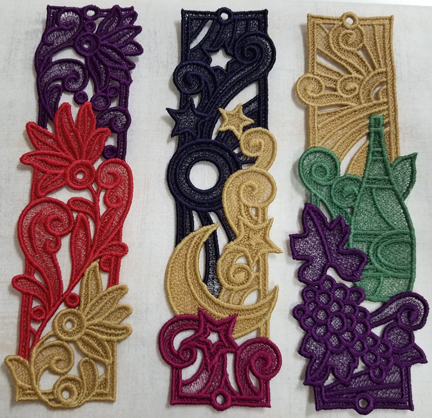 Cork fabric is lightweight, waterproof, stain resistant, and hypoallergenic. 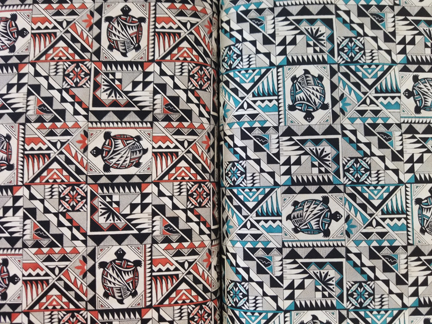 We just received new, luscious colors that are irresistible. 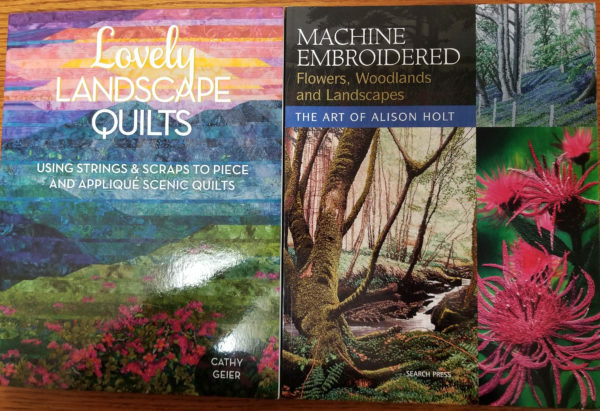 We also received these two new landscape quilt books. They are both filled with amazing ideas from cover to cover.